Three select videos from the larger project And I Think I Like It. 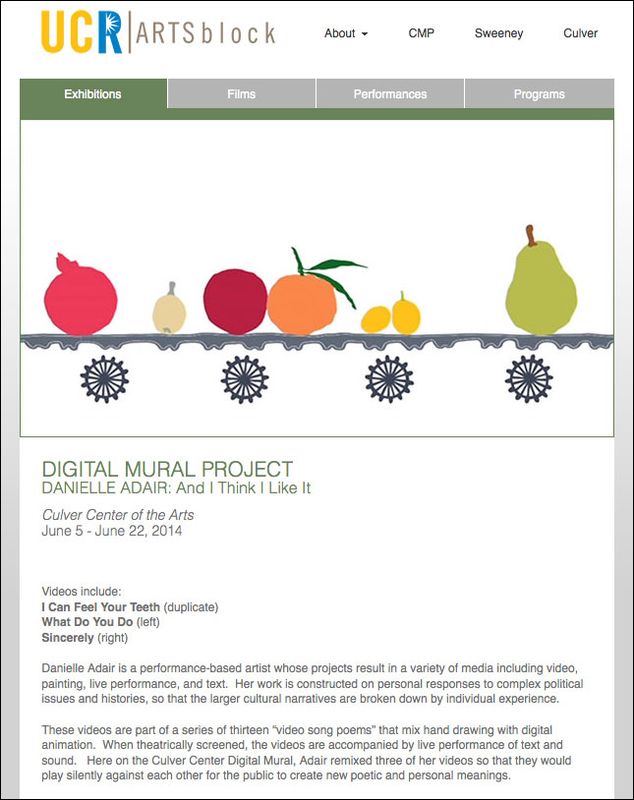 on outdoor exhibit at the UCR Culver Center for the Arts Culver Digital Mural Jumbotron in Riverside, California from June 5 – June 22, 2014, curated by Jeff Cain. The video works – “What Do You Do,” “Sincerely,” and “I Can Feel Your Teeth” – looped continuously throughout the three-week showing. More information here. 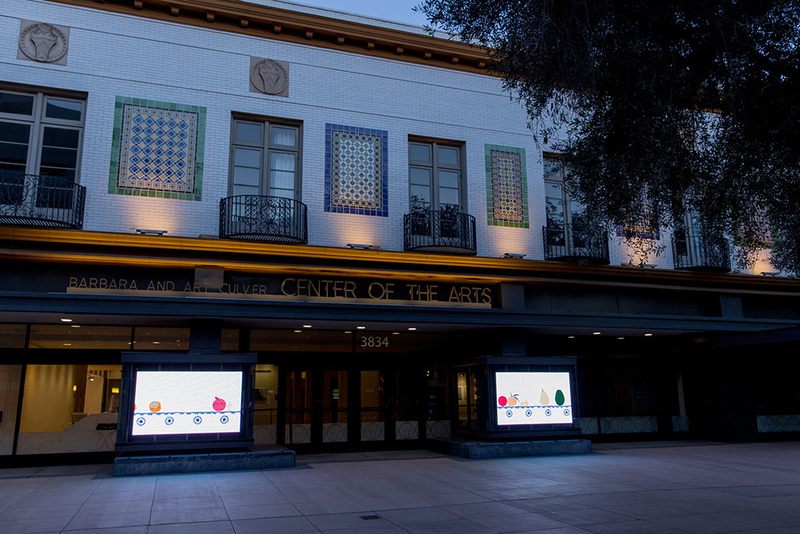 Photo Courtesy of UCR ARTSblock, Culver Center Digital Mural Project, Photography by Nikolay Maslov.